Gene Robinson brings to AZPM, a broadcast career that spans over 30 years. While new to public broadcasting, Robinson has previously worked in the public sector as the Director of Television Communications for the California Highway Patrol. Gene got his start as a college intern at one of the country’s most dominant commercial television stations: KCRA-TV in Sacramento. He eventually became the station’s Creative Services Director. 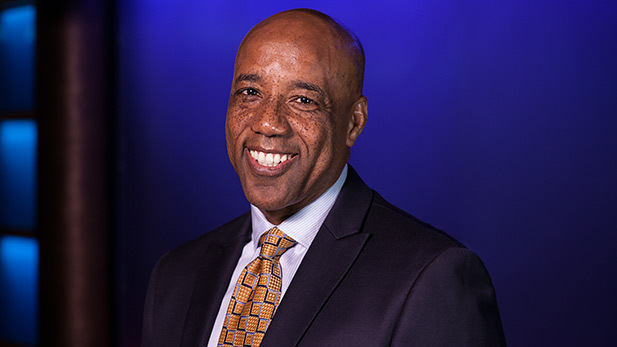 While at KCRA-TV, he worked as a producer and reporter for the station’s public affairs programming, and also served as a sideline reporter for college football games. Before coming to Tucson, Robinson served as Director of Creative Services for KPHO-TV in Phoenix, and Brand Manager for KPHO and KTVK-TV.